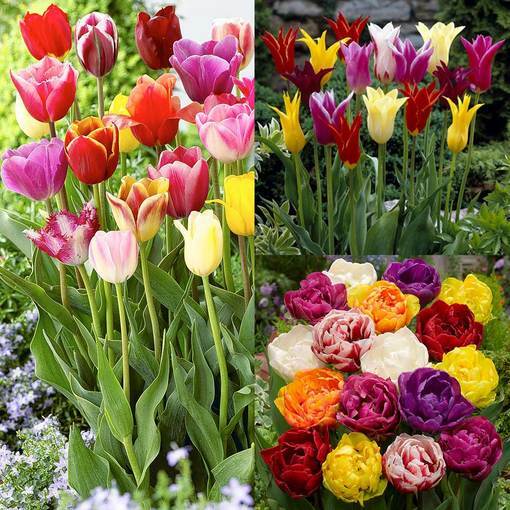 We have put together three of the best possible tulip mixtures, ideal to create a complete spring border display with a myriad of colour. 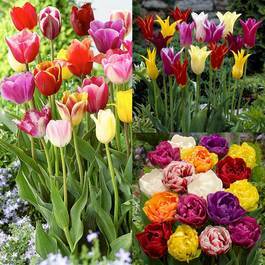 The collection includes 15 each of Triumph Mixed, Lily Flowering Mixed and Double Late Mixed. Height 30 - 60cm. 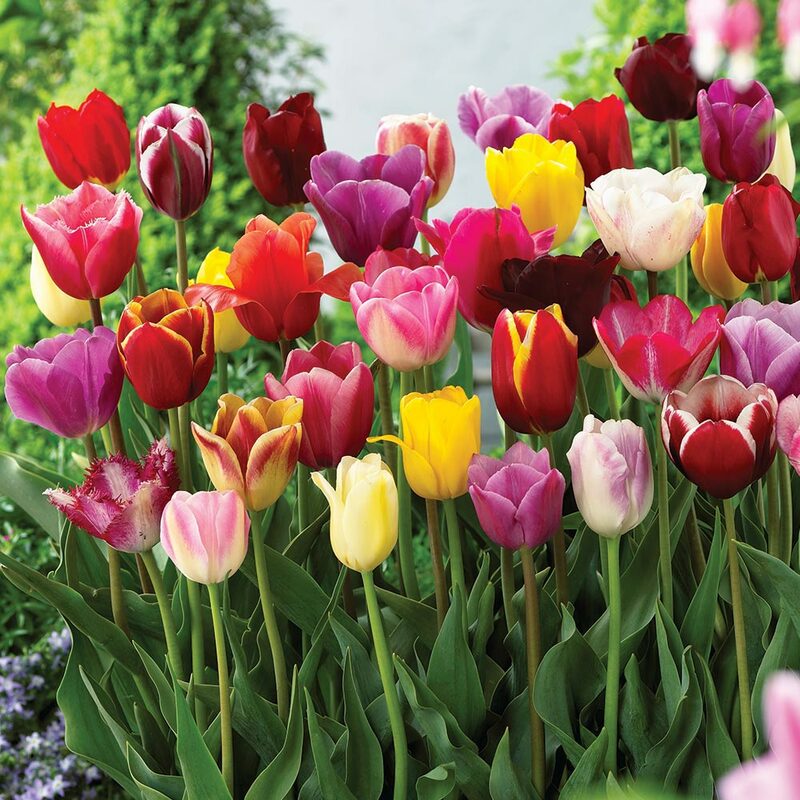 Tulips are perfect for garden borders, patio pots and containers. 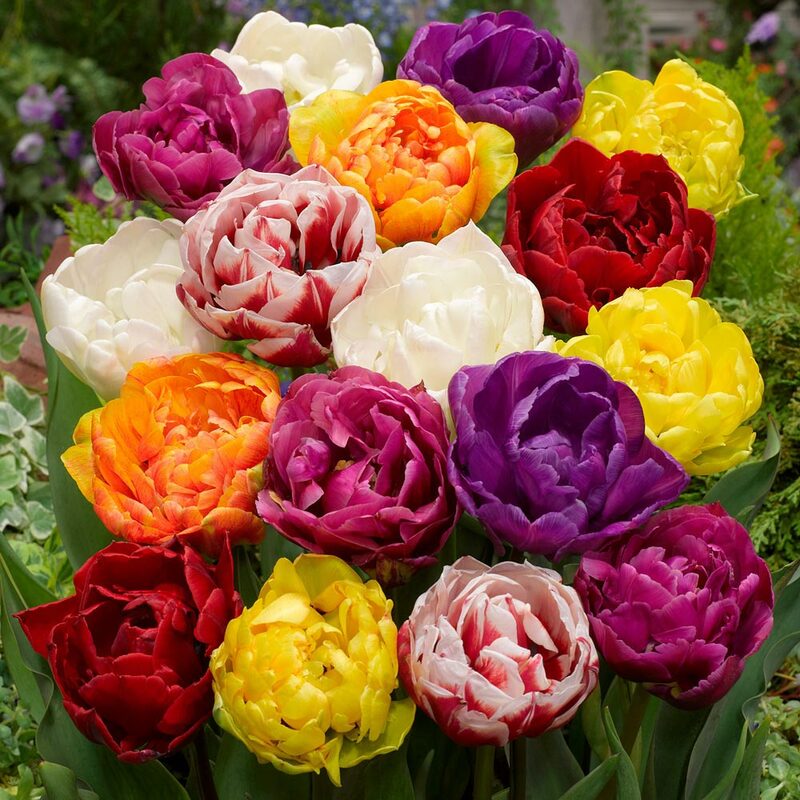 They are also great for indoor vase displays. 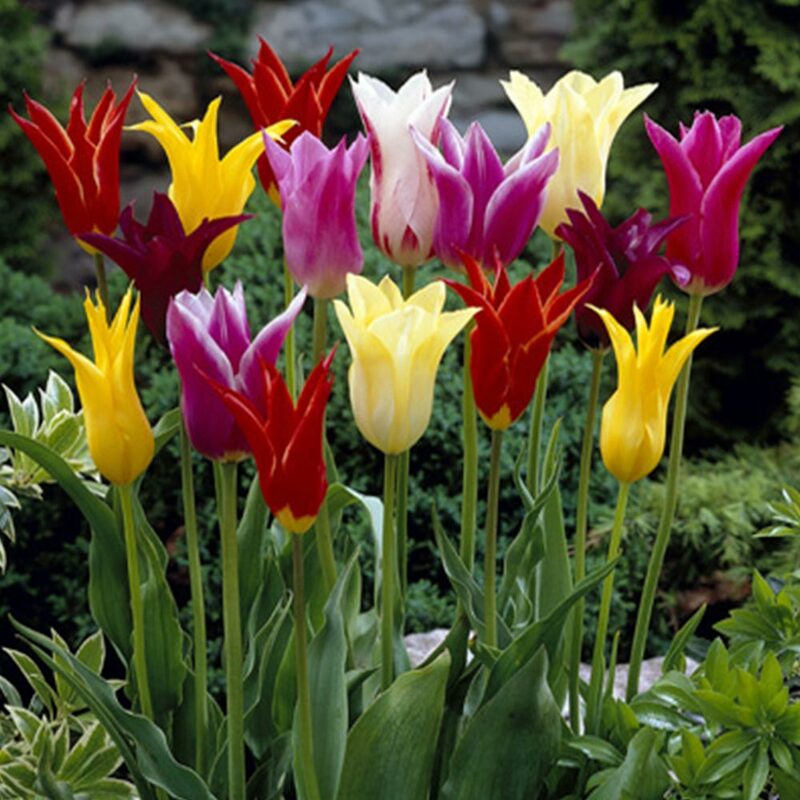 We supply 11/12cm bulbs which you can plant 10/15cm deep in well drained, fertile soil.